I'm finally finding some extra time to stamp. I really enjoy creating cards from my own ideas but also appreciate the talents of others. This is the case here. Catherine Hayward shared the above card on her BLOG. There have been many variations on the flower pot card but the one above could not be easier. 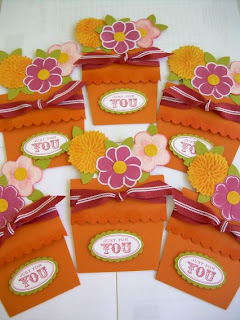 Using the Sissix dies Stampin'Up sells and our 5 petal punch you can easily create the flowers. And best of all no cutting. 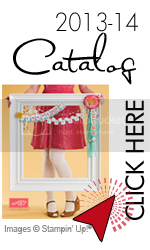 The ribbon shown is one that I know that will retire because it is one of the In Colors, riding hood red. There are only seven days left until the retired stamp list and accessory list is published. Check your supplies of paper, inks, reinkers, and brads and place your order.